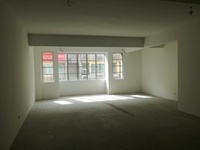 8 Avenue is a leasehold Shop-Office at Petaling Jaya in Selangor, developed by Kumpulan Hadapan. 8 Avenue comes with 4 blocks of 4 storey building which comprises of a total of 36 units. The built-up size of the unit measures approximately 1,225 to 3,411 sf in size. 8 Avenue provides a wide range of facilities at the Shop-Office such as covered parking (100 units open car park and 300 units of basement car park), service lift up to the fourth floor, and two toilet facilities for every floor. 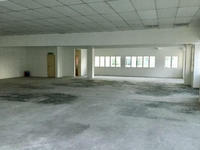 Apart from the facilities provided, the area is also equipped with 24-hour security. 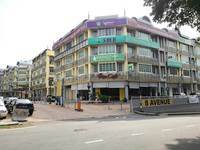 8 Avenue is near to amenities such as shopping centres (Amcorp Mall), public transport (RapidKL's Asia Jaya Putra LRT station) and colleges (Stamford College, Universiti Malaya (UM) and Pusat Perubatan Universiti Malaya (PPUM)). 8 Avenue is easily accessible via Lebuhraya Damansara-Puchong Highway (LDP), the New Pantai Expressway (NPE) and the Penchala Link. Get me good deal if there is any units available in 8 Avenue.